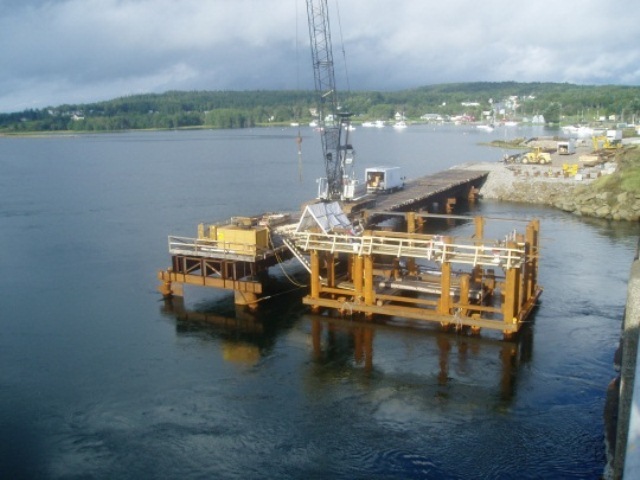 The design of the cofferdam called for a complex construction sequence to allow for installation of the pier in both wet and dry conditions. HEC completed the cofferdam design to retain over 13 m of water with large current loads (exceeding 5 knots) as well as 5 m of differential soil lateral pressures while maintaining an open annulus within the cofferdam to allow for excavation of the soils and installation of the pier footing. 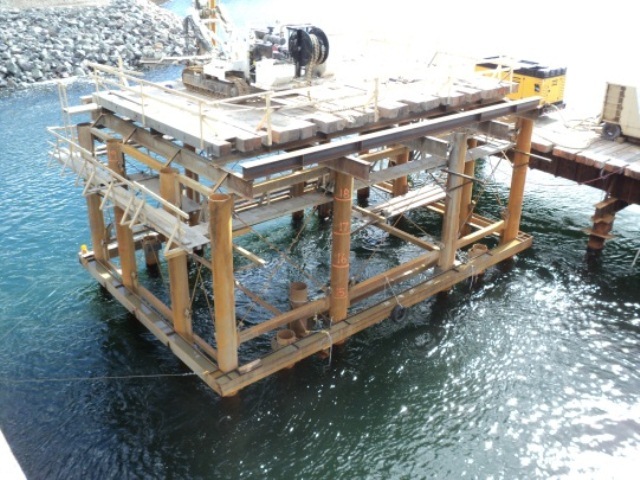 Also, the entire rebar cage for the pier footing was constructed above water on a platform supported by the cofferdam and subsequently suspended from the cofferdam and lowered into position. This technique allowed the footing to be installed by tremie concrete method in the wet. 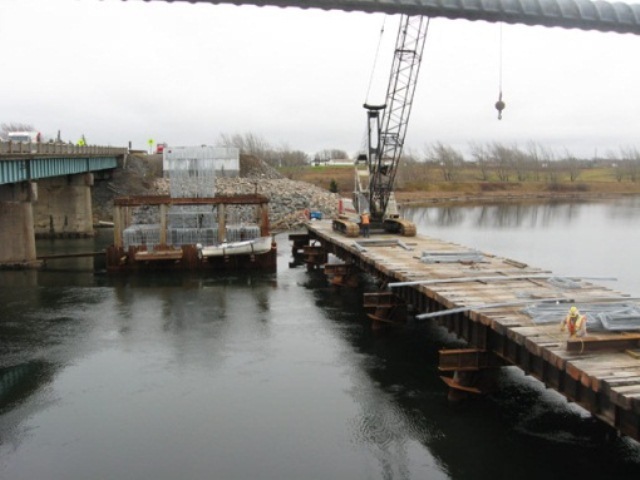 Once the footing was installed and acting as a plug to resist uplift seepage pressures, interior bracing was placed within the cofferdam and the entire interior was dewatered to allow the remaining pier to be constructed in dry conditions. To provide access for the installation of the center pier as well as access during the subsequent girder launch, a 68 m temporary trestle was required. HEC completed the design consisting of a timber crane mat deck spanning between steel stringers that were supported on rigid frame double pile steel bents driven to bedrock.